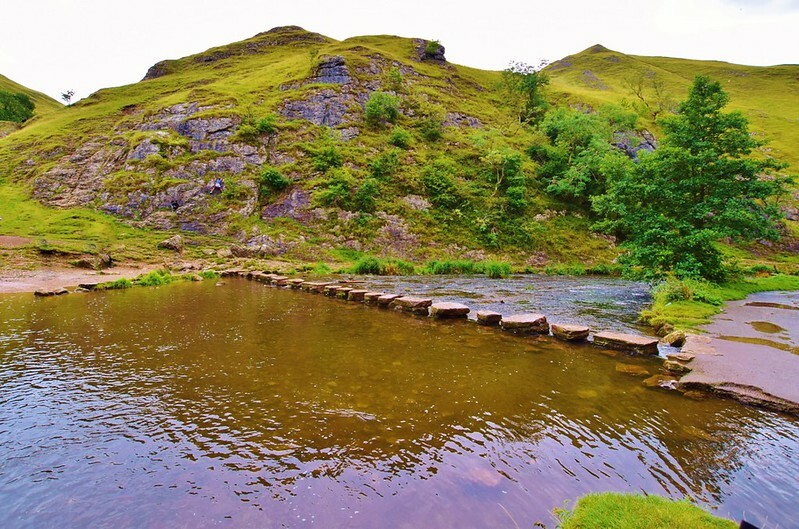 Dovedale Stepping Stones walk is in the ‘White Peaks’, in the Peak District, Derbyshire. Unlike the ‘Dark Peaks’, which includes steeper hills in Edale and Castleton. This area is known for less challenging routes. 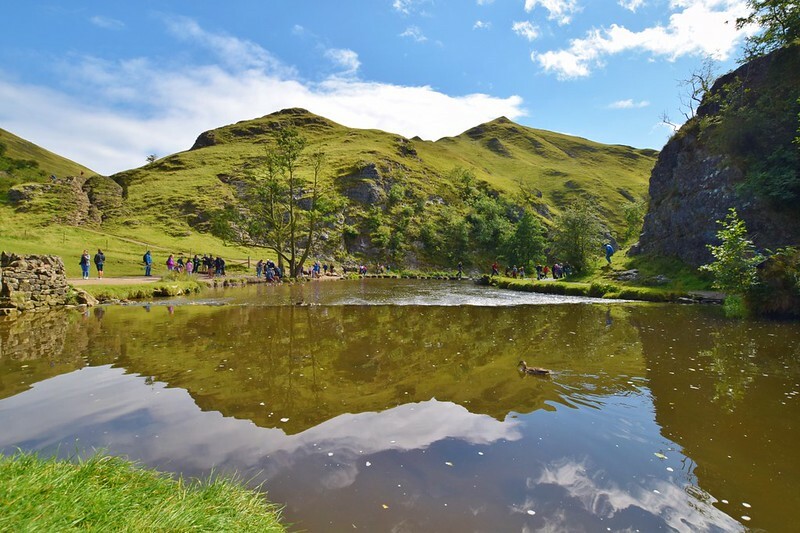 And a walk in Dovedale is a great option for most walkers, including families and novice hikers, especially if you get to cross the giant stepping stones. 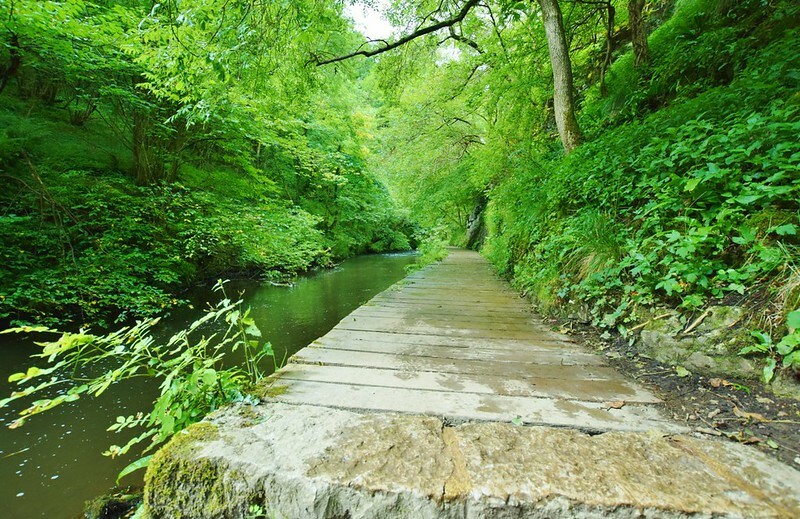 However, because Dovedale has easier hiking routes, it means it’s very a very popular walk in the Peak District. Especially over the weekends and when the weather is good in the UK. At the beginning of the walk along the River Dove, you’ll notice a lot of people close to Dovedale stepping stones. Although, for the rest of the route, the paths become quieter. By far, the busiest place on the walk was the famous Dovedale Stepping Stones. Everyone wants an action photo or two crossing these huge stepping stones! Below I’ve detailed the circular route I walked in Dovedale, with the stepping stones at the beginning of the walk. But there are options if you want to take a shorter walk. Follow Stages 1 & 2. Along the River Dove and back the same way. This means you can decide how far the walk lasts (perfect if you don’t have too long). 2 Where is the Start for Dovedale Walk? 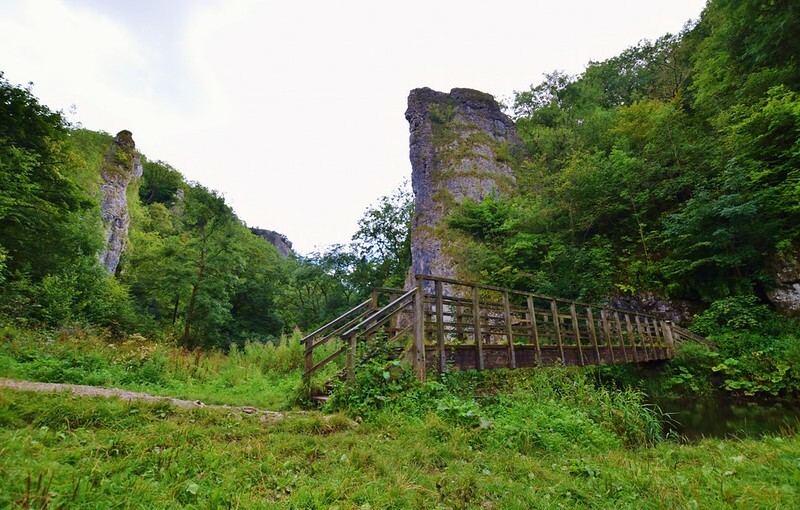 4 What to take on your Dovedale walk? Where is the Start for Dovedale Walk? Dovedale car park is privately owned. It’s not too big and busy on the weekends. However, as I arrived in the afternoon (and it was raining) a few cars were leaving so found a spot. There are basic toilet facilities. Owned by the National Parks Authority. And cost 20 pence so remember to take some coins with you. (This money is used to improve facilities in the Peak District). 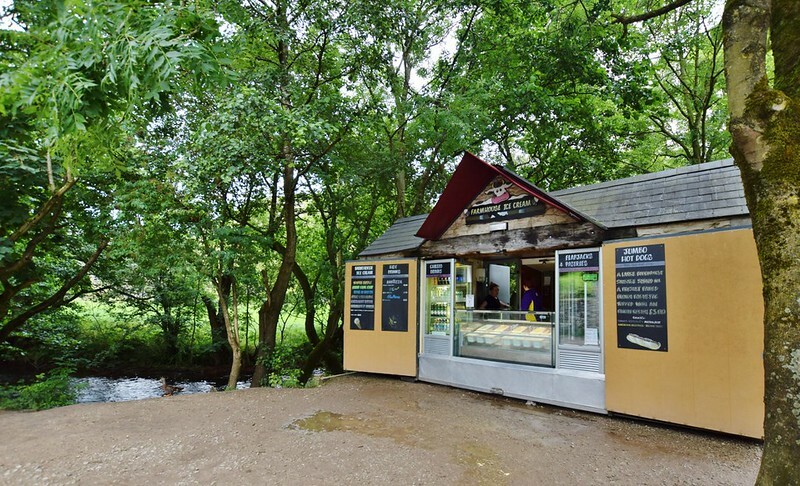 There was also a small ice-cream shop (pictured above this was on wheels) so I can imagine it’s only there during busy periods! If this car park is full there was another option on the road as you drive in £2. This looked like a field, which probably means no toilets! Bring coins to use to pay the parking attendant or you can pay in at the machines. And to pay for the toilets!! I’ve split the walk up into 5 short stages each between 1-2 km/ 0.6-1.5 miles each. 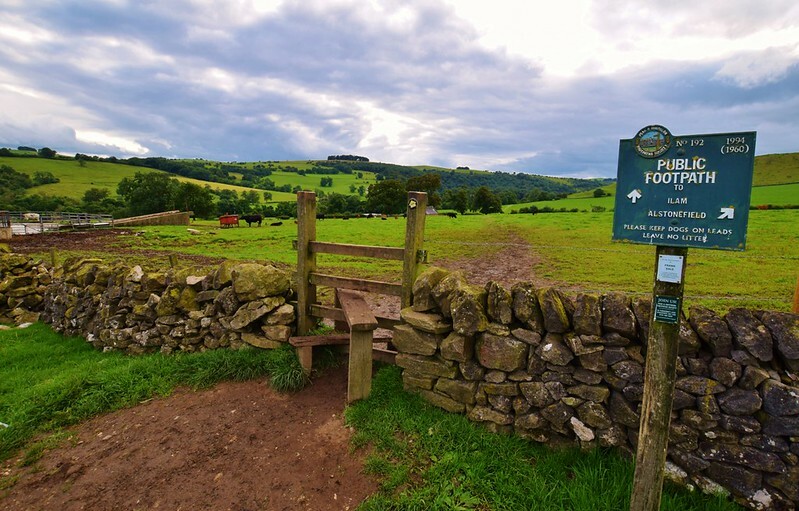 This walk is great if you are hiking with kids for the first time as there is lots of things for them to explore on the route, including the awesome Stepping Stones of course! For navigating, I’d recommend using an Ordnance Survey Map (OL24 – White Peaks) to use alongside my instructions. From the car park, follow the path behind the toilets to the right. After a couple of minutes walk across the wooden bridge. And follow the path along the River Dove. The views are stunning as you walk down the path. Be sure to look up. But also keep an eye on where you are stepping, as the ground is uneven. The path follows the River Dove so easy to navigate. A couple of hundred metres further down. There are the famous Dovedale Stepping Stones. If you want to cross then you might be in for a little wait as they are pretty popular but it’s fun to do, but it’s worth waiting for. Continue along the path next to the river. Then follow the path up some steps until you reach Lovers’ Leap. Please don’t leap! A nice bit of downhill now and following the River Dove as it snakes through the countryside. On a summer’s day, all you can see bright green trees all around you. As you walk suddenly huge rocks appear out of no-where on your right and left. And the mighty Ilam Rock looks amazing. It’s a great landmark that you can’t miss! At Ilam Rock follow the signpost to Stanhope across a cute little wooden bridge. You’re now walking through a beautiful wooded area. Following the River Dove. Then it disappears as you follow the path around to the left. There are plenty of obstacles on this path, stiles to climb over or squeeze through. Which I found a challenge with my rucksack on! As you walk along the path, with the stone wall on your right. Don’t forget to say hello to the sheep! The path then reaches a not so obvious crossroads. If you’re enjoying the views you could very easily miss it! But if you reach the town of Stanshope you know you’ve gone too far! Climb over the stile on your left and through the field. Follow the path through the fields to the stiles in the dry stone walls. Across the first field, then walk diagonally across the second field. Unless you want to increase the distance of your walk! Damgate Farm is on your right. It’s a huge farmhouse with numerous outbuildings. And a useful landmark to check you’re going in the right direction! Up ahead you’ll see a quiet country road. You’re only on this for about 800 metres. If you start chatting away and walk straight past it (yes this is exactly what I did!) then look out for the private drive up to Ilamtops Farm. Now you know you’ve missed the stile! But don’t worry it’s only a few metres back! Across the driveway, there’s a stile. Follow this across the field. You’ll see the steep slopes of Bunster Hill ahead. Descend down to another steep stile. And then head left across the field with Bunster’s Hill on your left. Another couple of fields and of course stiles. Please note there are normally a few cattle in these fields (please read note below). And you will make your way back towards the starting point. During the last stage of the walk, you’ll notice more cattle in the fields. In most cases, cattle will ignore people, but during the calving season, they can become very protective. Especially if there are dogs around. Consider taking an alternative route if you have a dog and calves are present. If the cattle approaches you. Let go of your dog immediately. 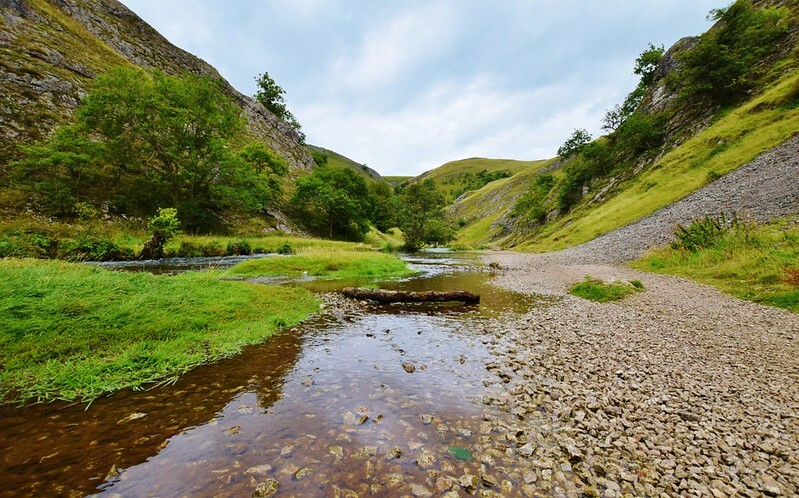 What to take on your Dovedale walk? *Please pack extra clothes (hat, gloves and fleece) according to the weather. I was lucky as the British weather was behaving. But sometimes up the weather can change quickly. Read my full post on What to take on a day hike!